Once again I’m joining in with Laura for her year in books. This link up has really helped me get back into reading after having my second child and given me lots of ideas for new authors to read, as well as reminding me of old favourites. A really wonderful read with lots of interesting ideas. I was and wasn't surprised by the story and the way she linked all the elements. Intriguing. I've really enjoyed a few of Tony Parson’s novels and this is his first foray into crime. I do like a crime thriller and this was really good…just on the right side of graphic without being too extreme it kept me guessing. I liked the characters he developed in this one and hope to see them again in new books in the future. A very quick read about the intricacies of playing football manager and the people around them. 'Nuff said. 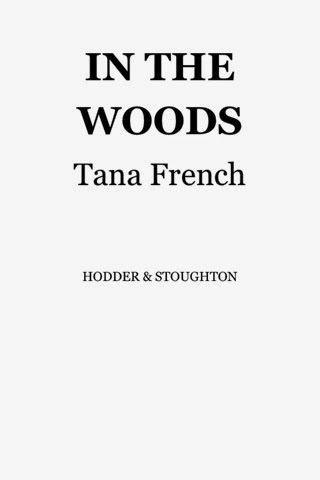 In The Woods – Tana French - An author suggested by Jennifer. I've started this and it’s looking very promising! Not very festive reads but hopefully good nonetheless! Here’s to more reading in 2015!! You're going to love her books! I've been a fan for years. I haven't read any of the others but I will look for them in the library; I always like to get new suggestions for books and authors.